Nick D. laments on the on-going trend of making every shooter a single and multiplayer hybrid. There’s a problem in the world of shooters and that problem is the integration of single and multiplayer. We, as gamers, have come to expect every single shooter to have some multiplayer elements even when it has been hyped as a primarily single player or story-based game. Conversely, in games that are prized entirely for their multiplayer, gamers expect there to be robust single player modes. Ever since last generation, where online gaming was really made easy and available on consoles, there has been a serious issue of developers shoehorning in either single or multiplayer modes. It takes development time and resources, and often results in a subpar product, which earns no more favours from consumers than if the mode was cut. The solution to this problem is simple – developers need to pick a focus and stick with it. Multiplayer and shooters has a long and vibrant history, whether it was the incredibly addicting multiplayer of Quake Arena or the couch co-op of Goldeneye on the Nintendo 64. I don’t pretend to be able to give a full account of shooter history, but I’ll give a small snippet for context. For the most part, shooters, before recently, relied heavily on their single player mode because the online infrastructure simply wasn’t there. Or, more importantly, it couldn’t be counted on. Thus, games that thrived on LAN parties and online engagements still had major single player modes, creating the tradition that multiplayer shooters would always be equipped with a campaign. While there are many factors involved, it’s fair to say that hit games such as Halo 2 and Call of Duty: Modern Warfare really pushed the casual market, which had generally been absent, into the online shooter arena, thus creating a major demand for online shooters. With the emerging console infrastructure as well as better infrastructure on PCs, multiplayer became a hot commodity and was selling games on its own merits. In the case of Call of Duty, it became a mega-franchise and an incredible money-maker for Activision. This, and like successes, opened up the floodgates and it hasn’t really been stemmed yet. While, in the past, multiplayer shooters would be accompanied by a single player mode, it wasn’t a given that the reverse would be true. Both first and, more often, third person shooters would be made without any multiplayer. This began to change relatively recently. You can see the footprints of this trend in games such as Bioshock 2 or Dead Space 2, both sequels to major, single player games, and both contained a terrible, shoehorned-in multiplayer mode. It wasn’t just hits, though. Even flops like the Bionic Commando sequel had a random mode just to tick the box of having multiplayer. Each of these games had a great (or passable for Bionic Commando) single player game, but the games were otherwise marred by their multiplayer. This trend has not stopped. Doom (2016) was met with somewhat tepid reviews. While holding a strong 85 on Metacritic, the criticisms levied against the game highlight how it likely would have scored much higher without multiplayer. 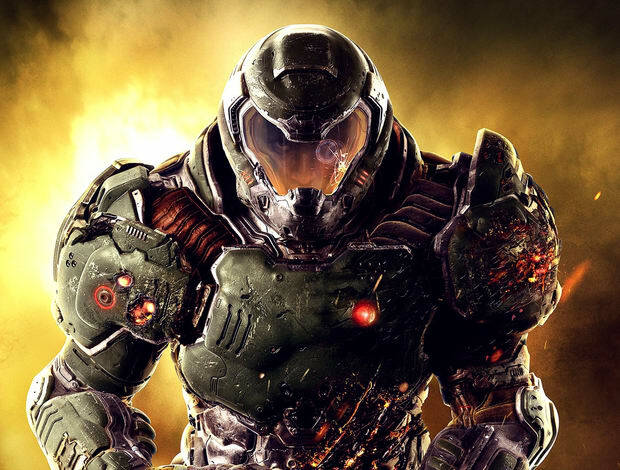 The issue was that the multiplayer mode in Doom simply wasn’t any good. It was just there simply so the developer could say that it was there. They understood that releasing a shooter, especially a first-person shooter, without a multiplayer mode would attract negative attention. Unfortunately, their stellar single player mode, possibly one of the best in years, was obscured by their dead weight multiplayer. The converse is also true. Game franchises like Battlefield, Call of Duty, and Titanfall are made for multiplayer. That’s their entire draw. However, most of them shoehorn in a single player campaign out of a feeling of historical obligation and fear of gamer backlash (which hit the first Titanfall.) These campaigns aren’t always bad (see Battlefield 1 and Titanfall 2), but the good ones are few and far between. It used to be that developers couldn’t make games online-only, but those days have passed. Nowadays, game companies don’t actually need to invest in single player affairs in games that are meant to be tailored to a multiplayer audience. Nevertheless, we perennially see so much waste on these modes. Waste is the core of the problem. Game development is limited by two all-encompassing factors – budget and time. No game developer has infinite of both. Thus, development is very much a matter of resource allocation. When a game developer spends time and money on a multiplayer mode, no matter how bad or half-hearted, it takes budget and time away from the single player experience. Even when created by a different team, there’s always a cost. Let’s take a look at Mass Effect 3. Its multiplayer isn’t bad. I personally know at least one person who was addicted to it. However, it’s a single player game first. Not only that but it’s a capper on a trilogy of single player video games where your decisions flow through from one title to the next. The multiplayer wasn’t bad. The single player was good even, but it wasn’t great. Most decisions had little impact outside of being added to a spreadsheet of “war assets”, multiple missions were just story-less arena engagements just reusing multiplayer maps, the graphics were showing their age, and there was very little in terms of combat innovation or balance. What I’m saying is that there are obvious areas where more money could have been spent to polish up the game. This is painfully obvious with so many games these days. Money is being drained away from where it should be in order to throw an unnecessary mode onto the package. Call of Duty is a major offender. They spend massive amounts of money on their campaigns, even going as far as to hire Hollywood actors such as Kevin Spacey to voice and lend their likenesses to the game. But very few people play Call of Duty for the story. It’s wasted money. For what they invested in this area, they could have designed and launched significantly more maps for their multiplayer mode. It’s worse, however, for single player games, because it doesn’t matter how good your multiplayer is or how much individuals enjoy it – multiplayer ceases to exist as a factor unless enough people actually play it. If a non-existent user base was felt in major online games such as Battleborn, how much of a chance does a new third person shooter have after the first couple of weeks? Dead Space 2 gave you the interesting idea of playing as the monstrous necromorphs in its multiplayer. Nice idea, but there’ s nobody left now to play it with even if you wanted to. This time limit on multiplayer games being viable adds so much to the waste. Not only are developers taking money from the primary experience, but the product they make won’t have longevity. There’s also a double-whammy to gamers in that these games have a tendency of making DLC purely for the multiplayer modes such as skins and maps as well as the generally microtransaction fare of loot boxes. Thus, some gamers will pay money for DLC for a mode that won’t even be playable in the long run. Look at The Last of Us. That’s a great game, and the multiplayer isn’t the worst. Most of the DLC for the game, however, was multiplayer-focused. That’s fine, but it’s not great for the people who now find themselves alone in a lobby with all of the expensive DLC they bought. Some developers have chosen to buck this trend, and they do, indeed, get some flak from gamers. Even with this flak, it’s a better business practice. Look at Overwatch, it has been criticized by some gamers for not having a single player component. However, it’s clear that its online component was polished significantly more than contemporaries that caved in to the trend such as the aforementioned Battleborn. Other shooters such Bioshock saw no need to add multiplayer into the game. It cheapened the experience, while simultaneously making it more expensive. Metal Gear Solid V and Grand Theft Auto V chose to develop their online modes separately, essentially marking them as completely different games. While this isn’t an option for smaller-scale developers that aren’t working on major franchises, it’s still an effective way of dealing with the single player/multiplayer development split issue. I end this article in this subheading because that’s what I want more developers to be – brave. Gamers want everything, but they rarely take the time to take the costs of development into account. If you asked a gamer would he rather a multiplayer mode for Mass Effect 3 or more planets, meaningful payoffs, gameplay innovations, graphical upgrades, bug fixing, etc., I have a feeling they wouldn’t jump to multiplayer. Developers need to be bold in realizing their vision. Chopping the budget for a multiplayer or single player mode that few people will play doesn’t help anyone.